This past summer, BioCanRx accepted its inaugural cohort of undergraduate students into the BioCanRx Summer Studentship Program. This program provides funding for network investigators to recruit talented university and college students onto exciting cancer biotherapeutics research projects. The competitive application process ensured that the awarded studentships would provide a practical, hands-on research experience that would inspire the next generation of highly qualified personnel. 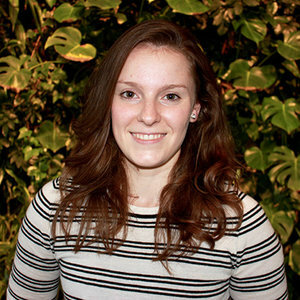 Profile: I am a fourth year Biomedical Science student at the University of Ottawa. 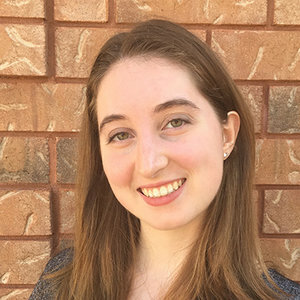 Outside of research, some of my interests include health promotion as a dedicated volunteer of the Canadian Cancer Society and education advocacy through co-founding and organizing the annual Connecting Young Minds Undergraduate Research Conference. When not in the lab, you can find me on the soccer field or reading a Harry Potter book. This past summer, my research project focused on enhancing virotherapy against sarcoma with a phosphatase inhibitor. Previous research has shown that despite some improvement in survival rates, a number of cancer patients still have poor treatment outcomes. Therefore, combining oncolytic viruses and virus-sensitizers, such as a phosphatase inhibitor, has the potential to pave the way for novel therapeutics against sarcoma and improve its prognosis. My project this summer studied the combination’s impact on cytotoxicity, viral replication, and spreading. As I intend to pursue a career in healthcare and research, this experience allowed me to explore a new field of research and to network with experts in the field. The BioCanRx studentship not only further solidified my professional goals, it also provided me with the experience and the skillset to reach them. 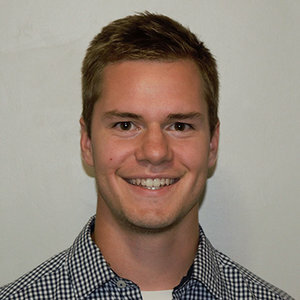 Profile: My name is Brian Laight, and I am a fourth year Biochemistry student specializing in Immunology and Microbiology at the University of Ottawa. In my spare time, I enjoy running and preparing for and competing in obstacle course races such as Spartan Races and Tough Mudders. The purpose of my project during my studentship with BioCanRx was to evaluate various strains of the Vaccinia virus and compare their capacity to determine the best candidate as the backbone for future oncolytic virotherapy. We found that the Copenhagen strain was able to persist the longest and replicate the most effectively during in vivo, ex vivo and in vitro studies when compared to the four other strains. Using the Copenhagen strain to insert trans-genes or deleting certain genes can expand on this further, creating an even more effective oncolytic. The Studentship has opened my eyes to the benefit of collaborating with various scientists and doctors in our pursuit of treating cancer. My experience this summer has strengthened my desire to become a clinician scientist and continue to innovate new therapies, bringing them from benchtop to bedside. Profile: I am a third year Life Sciences student at Queen’s University, Kingston. Currently, I am studying abroad at the University of St. Andrews in Scotland as part of the Canadian Robert T. Jones Jr. Scholarship Program. In my free time, some of my non-research interests include running, volunteering, sketching and trying new things. For my summer research project, I worked on the characterization of the Maraba MG1 virus expressing human interleukin-12 and the cloning of a Maraba MG1 virus expressing interleukin-12 and 18. The aim of the project was to enhance the immune stimulating properties of patient-specific tumour cells using the Infected Cell Vaccine protocol. We used patient derived tumour cells to determine the infectivity, protein production and immune-stimulating properties of the virus. 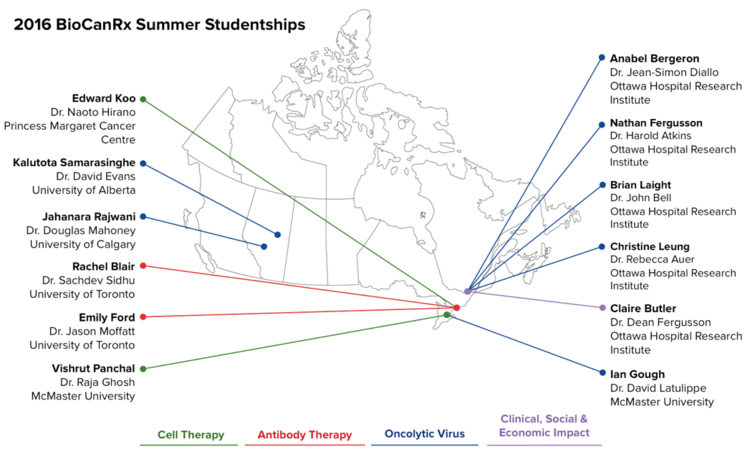 The BioCanRx Summer Studentship was an incredible opportunity to apply classroom learning to the real word, meet inspiring students and mentors and become more engaged in the field of cancer research. I am looking forward to seeing how this experience will open doors for me in the future as I consider a career in oncology. 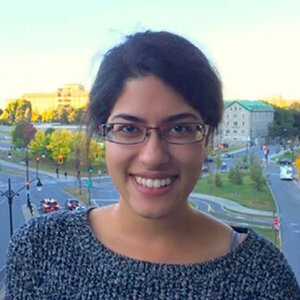 Profile: I am a second year undergraduate student at McGill University, currently completing my BSc. in Pharmacology and Therapeutics. Outside of research, I have a passion for film photography, and love to ski and travel. This summer I conducted a systematic review on T-VEC, an attenuated herpes simplex-1 virus designed to selectively infect and lyse tumor cells to produce an immunogenic response. As the first FDA approved oncolytic viral therapy, it was believed there was a great deal to learn from the pre-clinical to clinical translation of T-VEC, therefore the primary goal of my research was to track its successful bench to bedside translation. Over the summer I learned a great deal about systematic reviews and their conduct. I gained an appreciation for the value of summarizing large volumes of data across pre-clinical studies and clinical trials to determine the true effect of an intervention, especially with the wide variability in study designs, results, and methodological quality. This studentship provided me with the opportunity to learn and do research in the cancer field. I now have a better understanding of cancer and its treatment, and can say with confidence that I will enjoy and succeed at a career in oncology in the future. 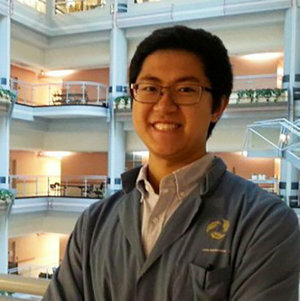 Profile: I attend the University of Toronto, and I’m in my fourth year of a Specialist Program in Immunology. Outside of the lab, I enjoy playing Ultimate Frisbee, and religiously watch NBA basketball. Inside the lab, my summer project sought to characterize CD1-restricted T cell receptor sequences by identifying defining characteristics within the TCR gene repertoire. Once we better understand the repertoire of CD1-restricted TCRs, we can try to rationally design therapeutic receptors based on this knowledge, thereby improving the applicability of adoptive T cell therapy. Over the summer, I was able to identify preferred TCR alpha and beta chain genes, and began to test preferred gene pairings as well. I learned a great deal about not only molecular biology techniques, but also how to design, plan, and execute good scientific experiments, as well as critically analyze data. The BioCanRx Summer Studentship provided me an opportunity to glimpse into the life of a full-time scientist. I gained valuable work experience and interactions with professionals in the field of cancer immunotherapeutics, and solidified my career interests in medicine alongside active involvement in basic and clinical scientific research. 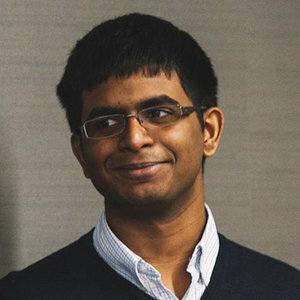 Profile: I am in my second year at McMaster University, specializing in Chemical Biology. When I’m not at school, I love to go camping and hiking! This summer, I worked at the University of Toronto developing therapeutic antibodies to interrupt the interaction between the programmed death I (PD-1) protein and its ligand (PD-L1) in canine cancers. When this pathway is interrupted, immune cells that infiltrate a tumor should be able to kill cancer cells. I learned how to use phage display technology to find antibody fragments (Fabs) that could bind to PD-1/PD-L1. Once we had Fabs, I learned how to clone them and produce them as Fabs without phage attached. We then used the purified proteins to perform more detailed experiments to determine their binding affinities and whether they had the capacity to block the PD-1/PD-L1 interaction. Working at the University of Toronto this summer gave me a realistic idea of how a lab operates and I am hoping to work in other labs in the future to explore different opportunities in research. 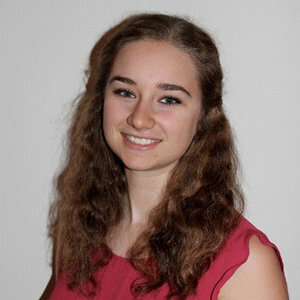 Profile: I’m a fourth year chemical engineering and bioengineering student-athlete at McMaster University in Hamilton, ON and this past summer I had the pleasure of determining the optimal filter to use in sterile filtration for an oncolytic virus purification process. Aside from the lab I also dedicated my time to playing competitive ultimate frisbee. I enjoy balancing ultimate with engineering as I find both fulfilling in separate ways. Chemical and bioengineering is a challenging five-year program that combines the core chemical engineering curriculum with health sciences to prepare graduates to work in biotechnology. This program is a perfect fit for me as I’ve always loved the curious nature of biology and the creativity of engineering. From my work I learned about how the filter structure and membrane surface chemistry affects virus transmission through the filter. I also began to work on my own research project that consists of filtering oncolytic viruses through nano-thin, microporous membranes and I hope to learn about how they compare to traditional filters. My experience this past summer was like a dream job, which was made available by the Summer Studentship Program, and it is my hope to continue contributing to the BioCanRx network in the future. 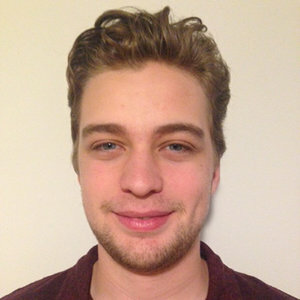 Profile: I’m currently in my last year at McGill University, studying Honours Immunology. When I’m not thinking about science, I enjoy exploring Montreal’s many bakeries and working with kids to improve literacy skills and mental health awareness. Over the last summer I had a phenomenal research experience in the Mahoney lab studying oncolytic virus (OV) therapy in the context of pediatric sarcomas. In particular, our lab was interested in identifying novel mediators expressed by cancer cells in an OV-treated tumour microenvironment that allow them to escape immune elimination. As such, the goal of my summer project was to develop the workflow needed to carry out a genome-wide RNAi screen on pediatric sarcomas to discover these mediators. This summer was my first experience in the field of OV therapy – because of this, I learned a number of diverse lab techniques and also developed skills that allowed me to critically review data and plan experiments independently. The BioCanRx studentship has not only consolidated my goal to obtain a PhD, but it also provided me with my first experience working in a cancer biology lab – an experience I enjoyed so much that I’m hoping to focus my graduate studies in cancer immunology research. 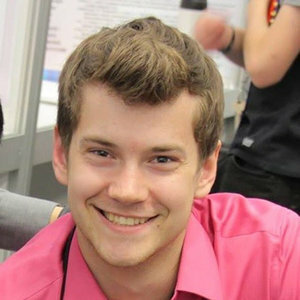 Profile: I am a fourth year BSc molecular genetics specialization student at the University of Alberta. I have always found molecular biology & transitional research engaging due to the ability to manipulate incredibly complex biological systems to provide solutions to problems present in clinical/industrial settings. Apart from research I enjoy painting, and regardless of the intricacies & challenges my favorite medium happens to be watercolor. My research project entailed testing the efficacy of oncolytic ΔF4LΔJ2R Vaccinia virus (VACV) against bladder cancer (BC) resistant to intravesical Bacillus Calmette-Guerin (BCG) immunotherapy. Response to BCG therapy depends on macropinocytotic internalization of the bacterium by BC cells due to oncogenic activation of the Rac1-CDC42-Pak1 pathway, aberrations of which can undermine its effectiveness. First we developed a BCG resistant model of BC by knocking down Rac1 via lentivirus derived shRNA, and then successfully demonstrated undiminished killing of these BC resistant cells by VACV. Through this opportunity, I have learnt a multitude of new laboratory techniques while improving my organizational & time management skills. 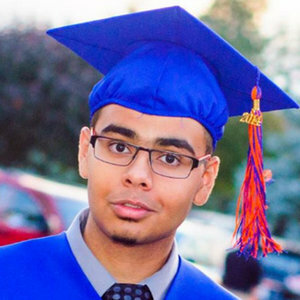 The BioCanRx scholarship allowed me to devote undivided attention onto this project during the 4 months of my summer studentship, which undoubtedly contributed to its success. Profile: I am an undergraduate Life Science student at Queen’s University, currently in my third year of studies. My program has provided me with a strong sense of current research methods, which I got to put into practice during my BioCanRx summer studentship. Queen’s has also provided me with the opportunity to work along side engineering students discussing, building, and designing biomedical devices. My research project this summer was “personalized immunotherapy using oncolytic virus infected leukemia cells”. This summer I was able to demonstrate that a dose of 30 gray of irradiation was able to eliminate the proliferative capacity of L1210 (leukemia) cells for the desired therapeutic cell dose. I also worked on researching and identifying various cytokines and chemokines of interest. As well I was in the process of optimizing a transwell migration assay to investigate immune attractive properties of oncolytic virus infected cells. My BioCanRx summer studentship provided me with the opportunity to gain first hand experience in a cutting edge biomedical research lab, and to meet so many interesting people from diverse backgrounds. 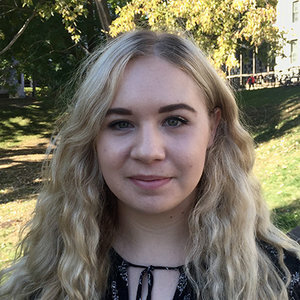 Profile: The fall following my BioCanRx Studentship, I began my first year of medical school at Queen’s University, after studying biology at the undergraduate level. I compete for the Queen’s Cycling Team and enjoy baking in my spare time. This summer, I worked on techniques used in the production of Bispecific T-cell Engagers (BiTEs) at the University of Toronto Sidhu Lab. BiTEs are antibodies that have the potential to mediate targeted immune responses. Over my summer, I was able to gain hands-on experience in many different aspects of laboratory work, from manipulating bacterial genomes, to using bacteria to produce parts of synthetic antibodies. On a larger scale, I was able to acquire an enhanced understanding of the future treatment potential for antibiotic therapies. Having experience in the development of novel therapies will be invaluable in the future, whether I am in class, the lab, or the hospital. Participating in the BioCanRx Summer Studentship Program has allowed me to see the development potential that exists in science and medicine, and has undoubtedly increased my interest in contributing these discoveries in the future through research. 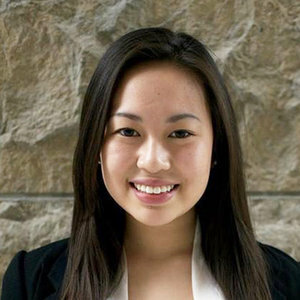 Profile: Currently I am a 3rd year student in the Chemical and Bioengineering program at McMaster University. I am always looking to learn new things and gain my knowledge in just about anything. Some of my hobbies are playing tennis, photography, music, and learning about astronomy. For me, its always been a dream to conduct research and apply my classroom knowledge in practical situations, and this past summer, I got to do just that! I had the amazing opportunity to perform my own experiments under the supervision of leading researchers in the field of cancer immunotherapy. The main goal of my term was to develop an automated process for the large-scale production of lentivirus. Lentivirus is of significance due to its constant need in the engineering of therapeutic T-cells. For this reason, I was involved in the manufacturing team in making high-titre lentivirus and comparing how different conditions and materials affect the end result. We were successfully able to quantify the results from which we modified the methods to get high-titre lentivirus while minimizing the batch-to-batch variation. During my term, I was able to acquire a great deal of skills ranging from the proper usage of the lab equipment (safety first! ), to the transfection of cells for virus production. I am thankful for the support of BioCanRx and its Network, due to which I was able to gain a better understanding of the current research and development related to cancer. This opportunity has inspired me to investigate further into this field and continue on my career path of becoming a researcher in my future.